Shipping A Motorcycle Anywhere In The U.S.
Harley-Davidson, Kawasaki, Yamaha, and Suzuki and are all well-known motorcycle brands. If you own one of these brands, the name probably brings back fond memories of your first cross-country ride. For most, this is a bucket list item. Once completed, you can choose an alternative form of transportation for getting to your destination. Instead of driving, you may opt to fly and have your motorcycle shipped. This is where an auto transport company comes in. You may be wondering why you would ship your motorcycle when you can drive. 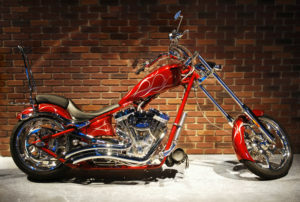 There are some instances in which shipping a motorcycle would be beneficial. Transporting a motorcycle with a professional auto transport company is easy, fast, and affordable. It gives you added peace of mind, knowing that the motorcycle will arrive in pristine condition. Regardless of the specific motorcycle brand or model you own, you have likely invested a lot of time and money into the upkeep of your ride. When you are undergoing a residential or business move, why wouldn’t you choose to go with the professionals? National Dispatch has a team of professionals trained to safely ship your motorcycle to its destination. Below, you will find some reasons why doing so is the best option for you and your bike. Long trips add mileage, along with unnecessary wear and tear, to your motorcycle. Traveling long distances not only impacts the wheels, but the engine, too. These factors play a major part in the overall resale value of the motorcycle. This additional wear and tear can be avoided by using a professional auto shipping company with the proper equipment. At National Dispatch, we offer an enclosed carrier option to safeguard your motorcycle from potentially hazardous weather conditions and road elements. Maybe, you are planning on entering your bike into a motorcycle show. Since you have invested a lot into your ride, you want to ensure that it reaches its destination, safely. You would not want something to happen to it during transport. Therefore, hiring a professional auto transport company is highly recommended. Motorcycles do not offer the same protection as cars. For this reason, some are not comfortable driving them across the country. In addition, traveling across the country may require one to travel across changes in climate, only to get to your intended destination. While it may be sunny in one part of the country, it could be snowing in another. Auto shipping is the better solution when you are pressed for time. It can take several days to travel coast-to-coast. You must consider the effect this type of trip will have on the body. However, shipping your motorcycle is not just an option for cross-country moves. Many people choose to ship their motorcycle, even when moving just a few states away. Time and money are two of the most important factors to many customers when considering auto transport services. Can I save time by shipping my motorcycle? Can I save money by shipping my motorcycle? The answer to both is yes. With driving, you must take into consideration frequent stops for food, gas, and lodging along the way. Moving to a new home is a challenge, because of the numerous tasks that must be completed leading up to the big day. When you are faced with a long To-Do list of tasks, this can cause your stress level to rise. Many people believe that they must transport their motorcycle on their own. Truth is, you don’t. Hiring an auto transport company to handle these services makes the moving process much more enjoyable. Moving-day tasks can drain you. The last thing you want to concern yourself with is how you are going to get your motorcycle to your destination. Take the stress out of moving, and ship, instead. It is better to invest a little extra money into hiring the professionals, than to pull your hair out doing it yourself. 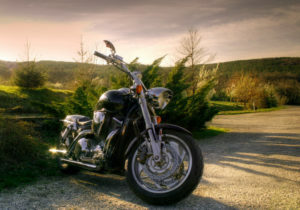 There are many reasons why a person may choose to use motorcycle shipping services. Here are just a few that may be of use to you in the future. 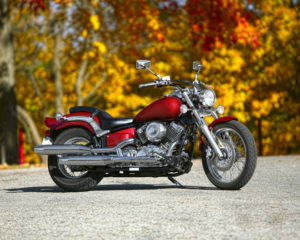 One of the most common reasons for shipping a motorcycle is a relocation. This may be as a result of a change in career. Whatever the reason may be, an auto shipping company can assist you with the move to your new home. Moving to a new city does not have to be difficult. Going on a vacation is the perfect reason to ship your motorcycle. Retirees, snowbirds, and other seasonal travelers often ship their bikes during the fall and winter months to escape the cold weather. The motorcycle is shipped to their seasonal home. At the end of their stay, the motorcycle is shipped back. Everything is taken care of for you. Everyone has their different reasons for making a purchase out of state. Choosing to buy a motorcycle out of state broadens your choices. This allows you to get exactly what you want. However, once you buy the bike, you must consider how you will be getting it home. This is where auto transport would come in, saving you time, money, and energy. Your motorcycle may not be your primary means of transportation. Many families own more than one vehicle. It is not ideal to drive your motorcycle separately from your family. Why not all travel together? When relocating to a new city, you can choose to ship multiple vehicles at one time. Many auto transport companies offer multiple car discounts, meaning you can receive a lower rate when you ship more than one vehicle. When you enter your motorcycle into a show, you must take special precautions to ensure that it arrives in pristine condition. The paint must be free of all dents, scratches, and scuffs. After all, you are showing your bike off to other enthusiasts. You want to be proud of what you own. One way to ensure that your bike arrives ready for the show is to to ship with a reputable auto shipping company. At National Dispatch, we have the best team of auto transporters that love what they do. Our team of staff provides the best customer service from start to finish. If this is your first-time shipping a motorcycle anywhere in the country, we want to ensure that you have an overview of the process, beforehand. This will set your mind at ease knowing that your motorcycle is receiving the best care, possible. Use our online quote calculator to receive a free quote in seconds. Contact us via phone to schedule auto transport services. Upon pick up of your bike, the driver will conduct an inspection to review the condition prior to transport. You will also be asked to sign the Bill of Lading outlining your shipping agreement. There are multiple preparation tasks that must be completed to ensure that transport goes smoothly. We will discuss the specifics, later. Your bike will be delivered to your home or place of business, where another inspection will be completed to search for any signs of damage. This method is the standard method of shipping. It involves securing the motorcycle to an open-air transport truck. Due to the construction of the transport carrier, the motorcycle will be exposed to weather and road elements. If this concerns you, then other options are available. This method of transport ensures that your motorcycle will be protected from any potential road hazards, such as weather and road elements. It is more expensive than the standard method of shipping. However, it is well worth the price for the added peace of mind that it provides. Door-to-door shipping is exactly what it seems to be. Our drivers will come directly to your specific location, typically your home or place of business, for pick-up and delivery. If the location is difficult for the driver to maneuver the transport carrier, another meeting location will be decided. In either case, this option is convenient and easy, eliminating excessive driving. A motorcycle is similar to shipping a car, in that proper preparation steps should be followed prior to transport to ensure that all goes as planned. Failing to perform these procedures before the driver arrives can result in added fees and delays in shipping. Clean your motorcycle. Removing dirt, grime, and debris from your bike is important when completing an initial condition report. During the inspection, you should look for dents, scratches, paint chips, or any other cosmetic damages. This can be difficult if your bike is dirty. Avoid filling up at the tank. Only 1/4 tank of gas is recommended for transport. More gas in the tank means more weight, which can affect your auto transport rate. Perform proper maintenance. This includes ensuring that all necessary fluids are at the appropriate level. You should also be sure to check your tire pressure. Remove all personal belongings. For insurance purposes, it is recommended that you remove all personal items from under the seats and in the saddlebags. Auto shipping companies are not responsible for damages of these items or as a result of these items. Make a list of instructions. You know your bike better than anyone. If there are any special tips and tricks that the driver should be aware of, create a list to give at pick-up. Learn more about How To Prepare Your Motorcycle For Transport. 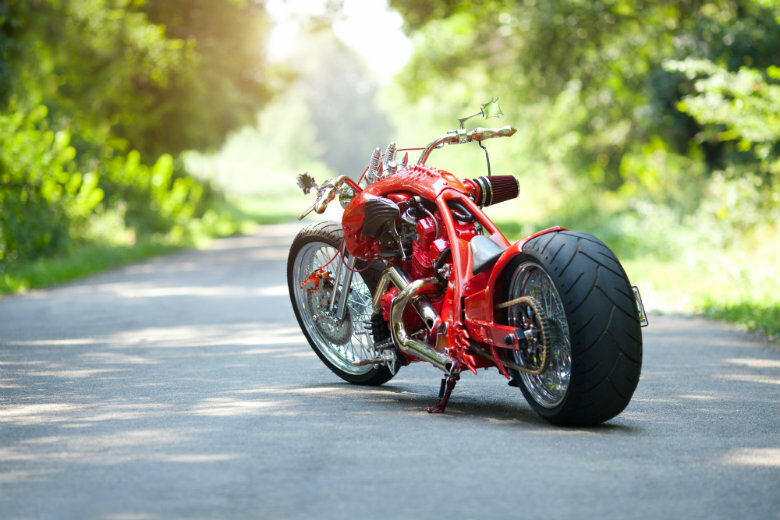 There are many factors involved in determining the cost of motorcycle shipping. Since rates vary depending on the circumstance, it is recommended that you contact the company directly. National Dispatch offers a free, instant quote on the website, which requires absolutely no personal information. Our quote calculator can provide you with an estimate cost for shipping. To lock in your quote, please call us at 800-321-2051. Distance. If you are planning on shipping your motorcycle across the country, the rate will be higher than if you were to ship just a few states away. It is also important to keep in mind the location and route that will be taken, as more secluded locations may be more expensive. Carrier Type. The type of carrier you choose is based on personal preference. You may opt to use open transport, as it is the most common shipping method. On the other hand, you may decide to go with enclosed transport because of the added protection it provides. Shipping Method. At National Dispatch, we offer three main shipping options. These include economy, priority, and guaranteed. Guaranteed shipping is more expensive, because your motorcycle will arrive sooner. Why do our customers choose to ship with us? 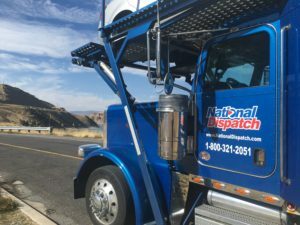 Here are a few reasons why National Dispatch is the best option for all your auto transport needs. When you need to ship your motorcycle, contact National Dispatch at 800-321-2051. We encourage you to use our online quote calculator to receive a free quote in seconds. No personal information is required, only four simple fields.